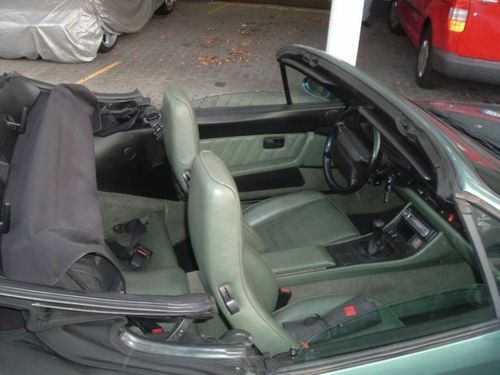 The cost for full leather interior was $4,190 ($4,173 93-95) for the cabriolet and $4,498 ($4,532 93-95) for the coupe. 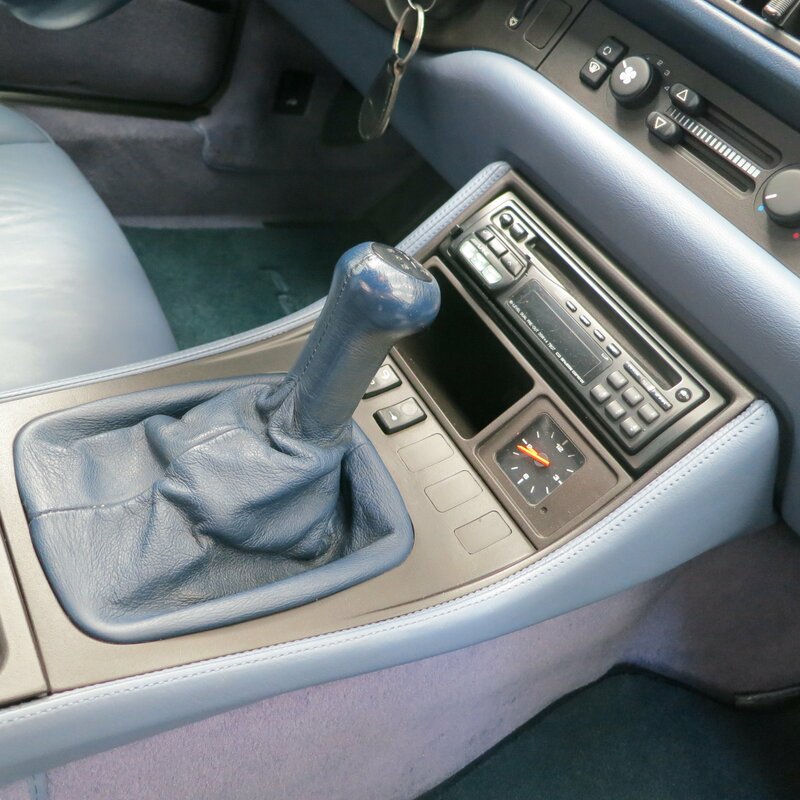 Only 50 North American 968s (20 coupes, 30 cabs, 1%) were equipped with full leather so they are very rare. 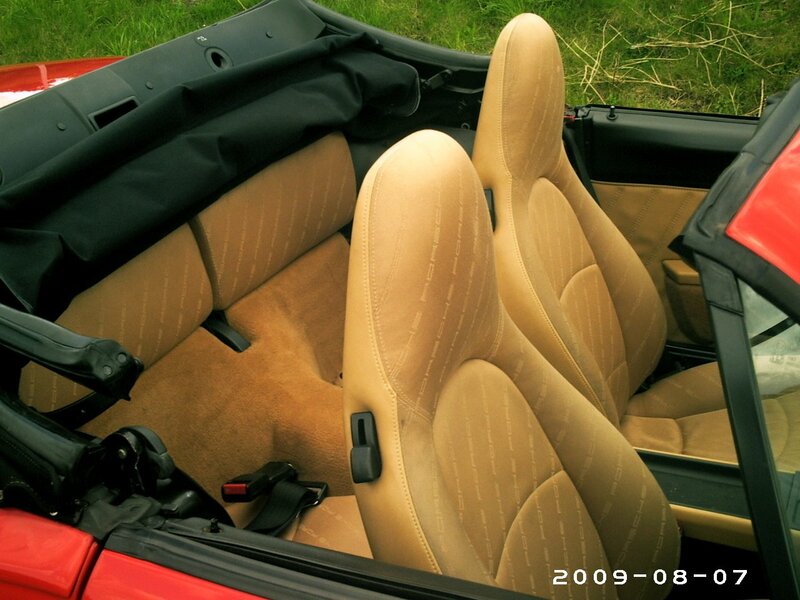 There were special full leather interiors offered during all 4 model years. 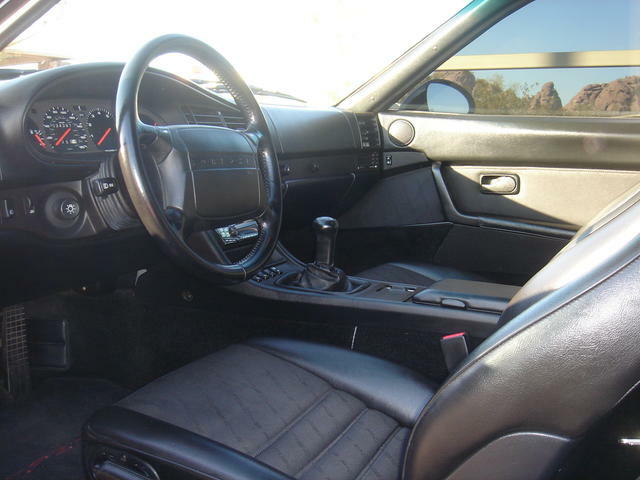 These exclusive interiors were available at an even greater cost and are extremely rare. 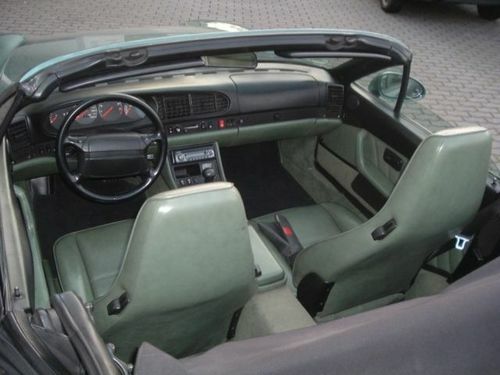 For 1992 the special leather interior cost $4,498 (93-95 $4,603) and for the coupe $4,930 (93–95 $4,963) and were offered in five colors, Matador Red, Cedar Green, and Carrera Gray (92-93) and Flamenco Red and Provence Blue (94.5 – 95). 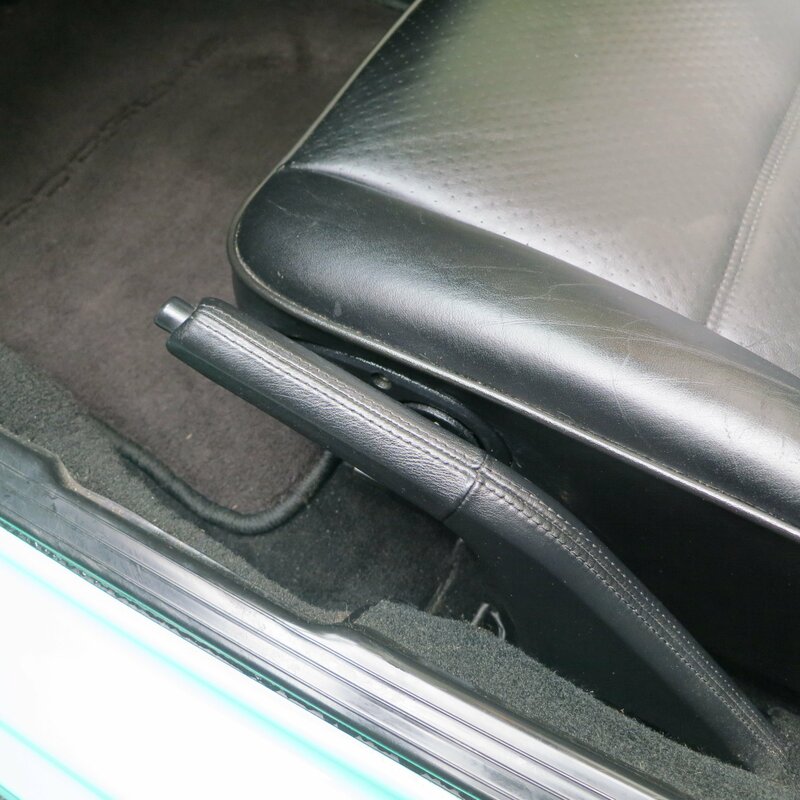 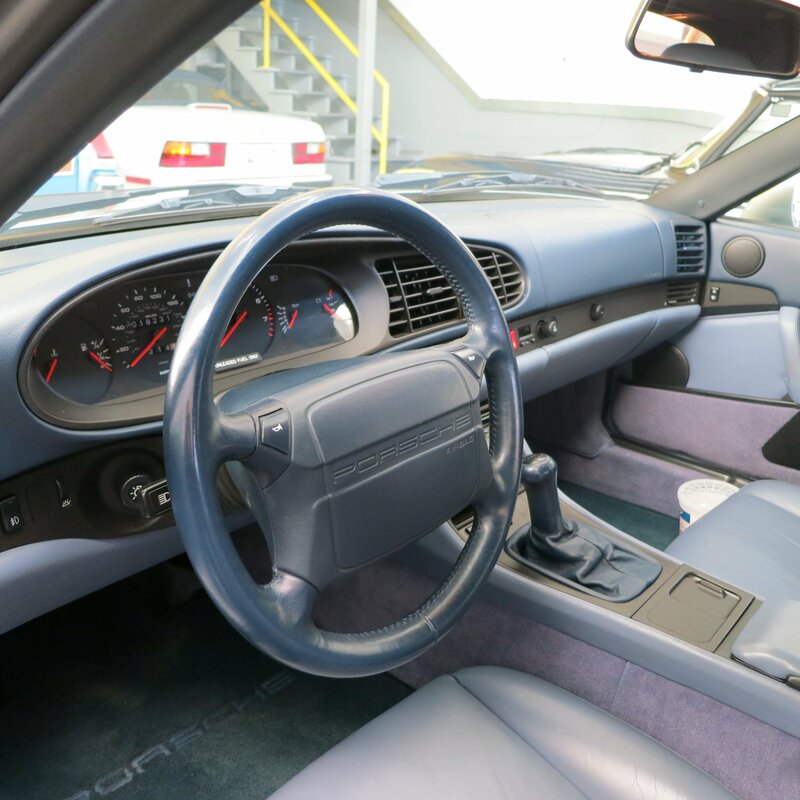 8 of the 50 full leather North American 968s were equipped with the special full leather interiors. 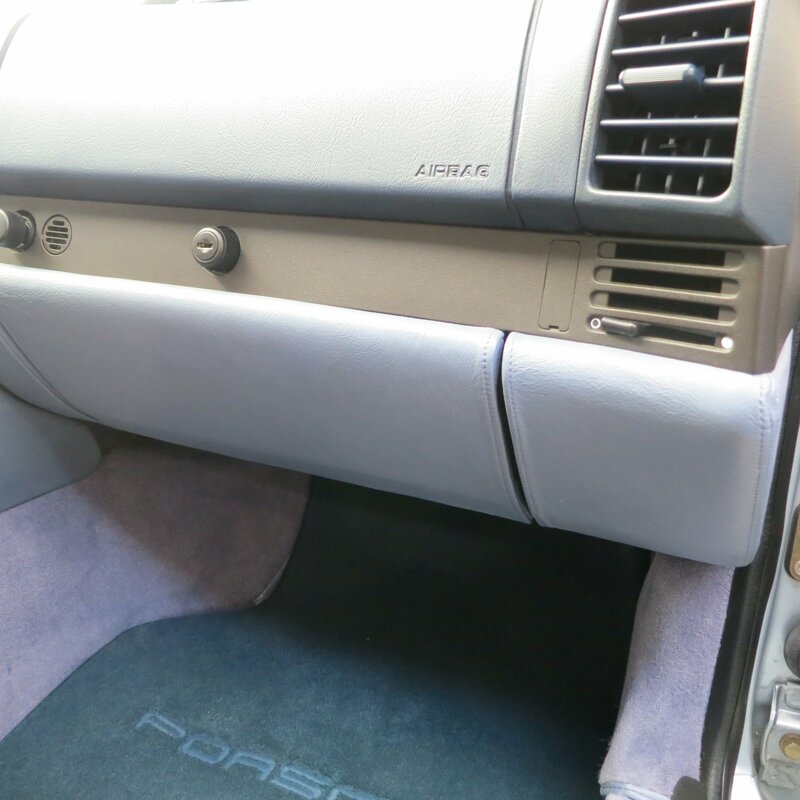 The second tier choice of the 968 interior offerings were all leather seats. 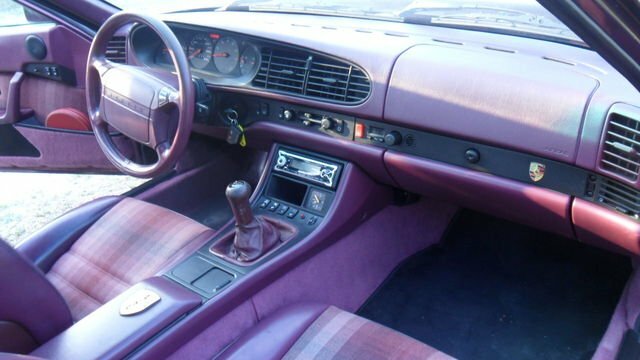 With this choice the buyer would receive the standard 968 interior however the front bucket seats would be fully covered in leather, both the seat fronts and seat backs. 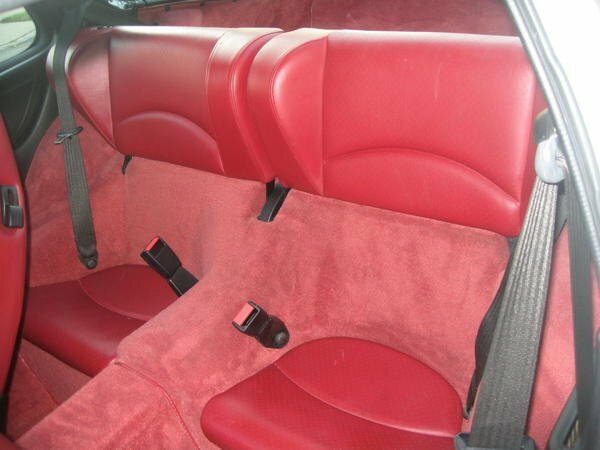 Coupes would have their rear passenger seats covered in leather. 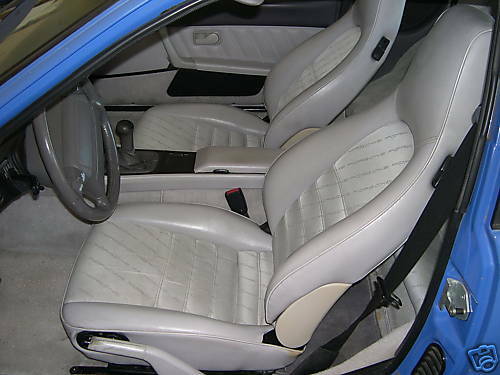 The cost for the all leather seat interior was $1,957 ($1,949 93-95) for the cabriolet and $2,265 ($2,256 93-95) for the coupe. 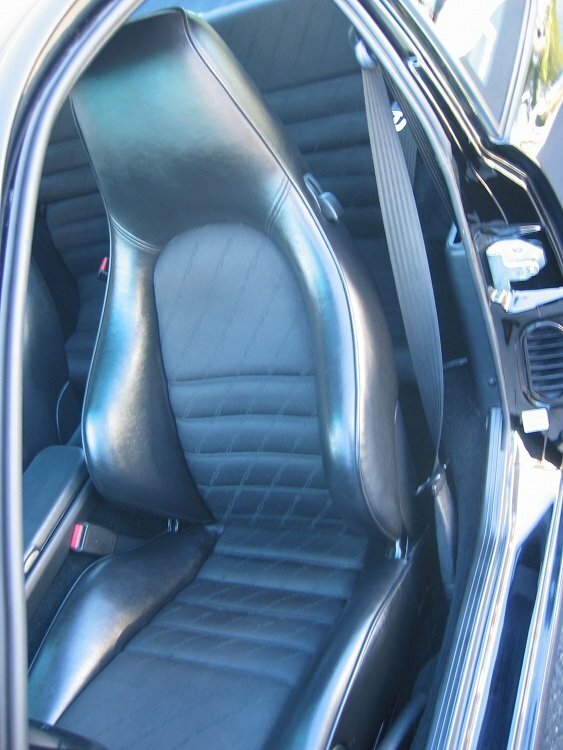 By far the most popular, partial leather seats can be found on 94% of all the 968s produced for North America. 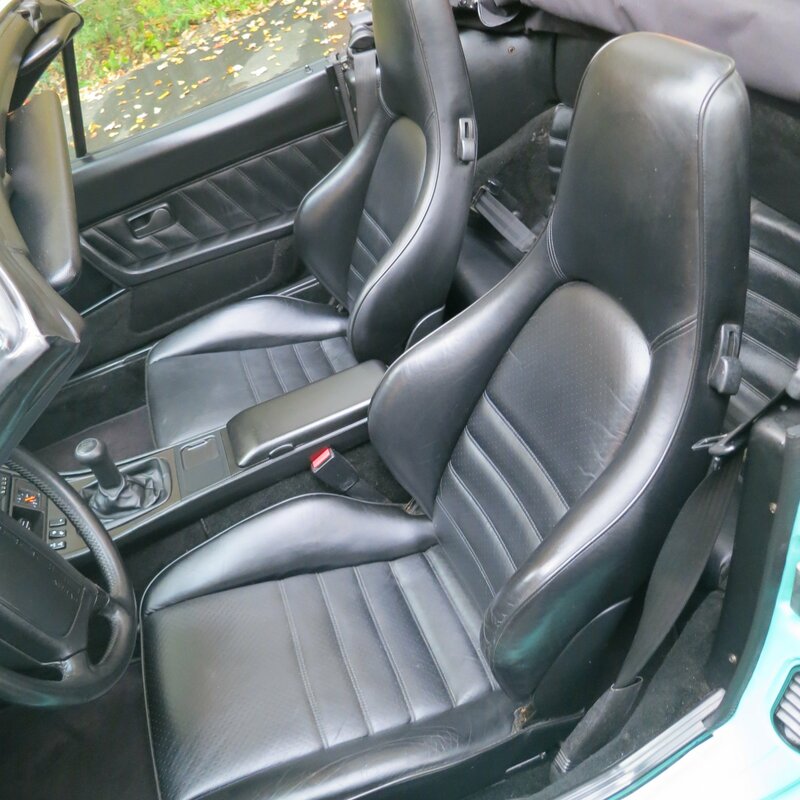 With Partial leather only the seat fronts for both front buckets (the section that you actually come in contact with when sitting) were covered in leather. 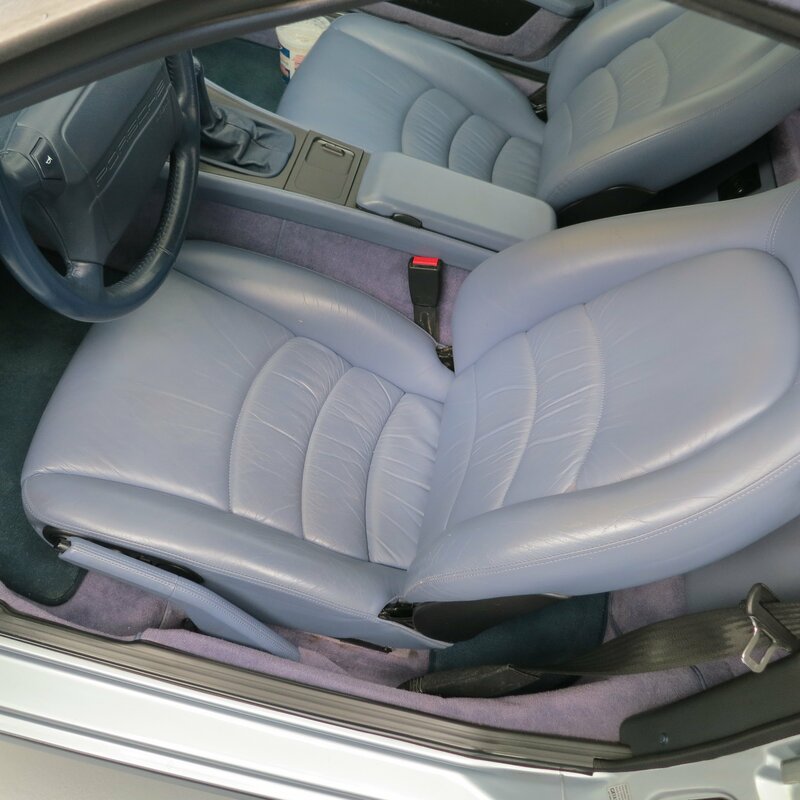 The seat backs and the rear passenger seats (for coupes) were covered in leatherette. 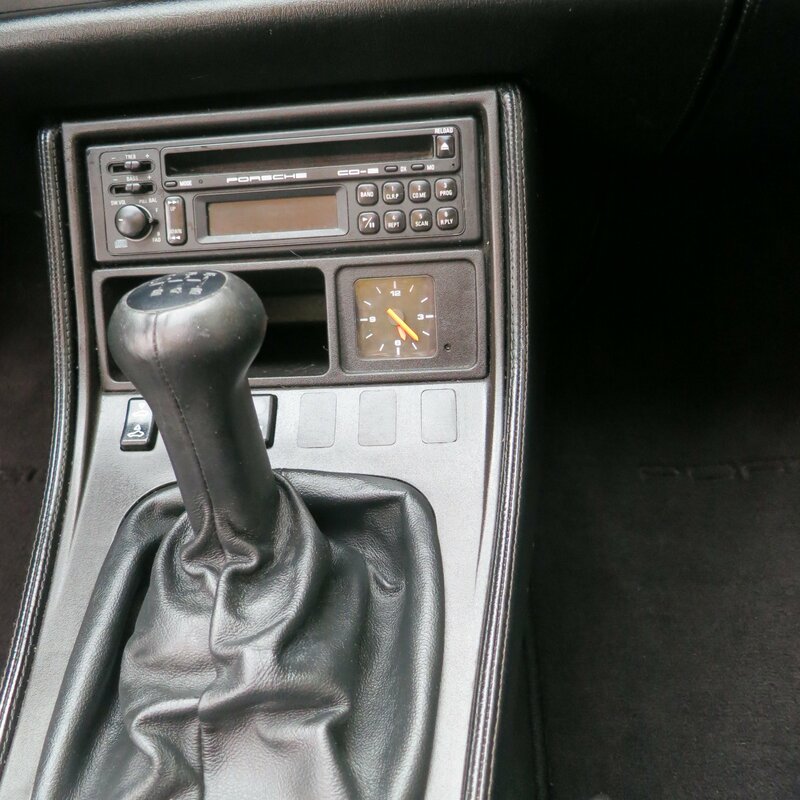 At $668 ($682 for 93-95) the advantage of this option is clear, allowing a dealer to outfit and advertise a 968 as “having leather” at a very low price. 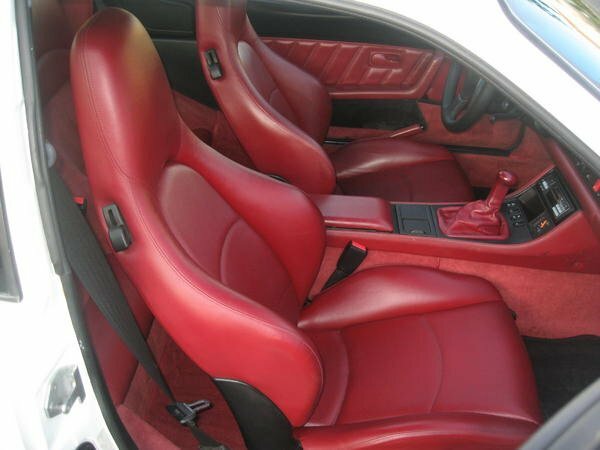 The standard offering for the 968 were the Cloth “Porsche Script” seats. 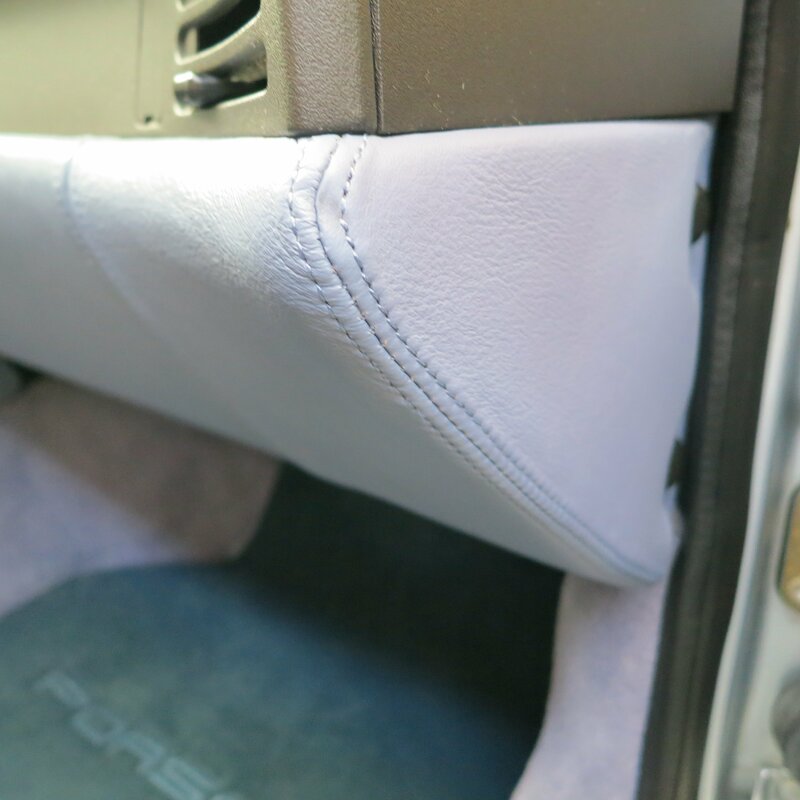 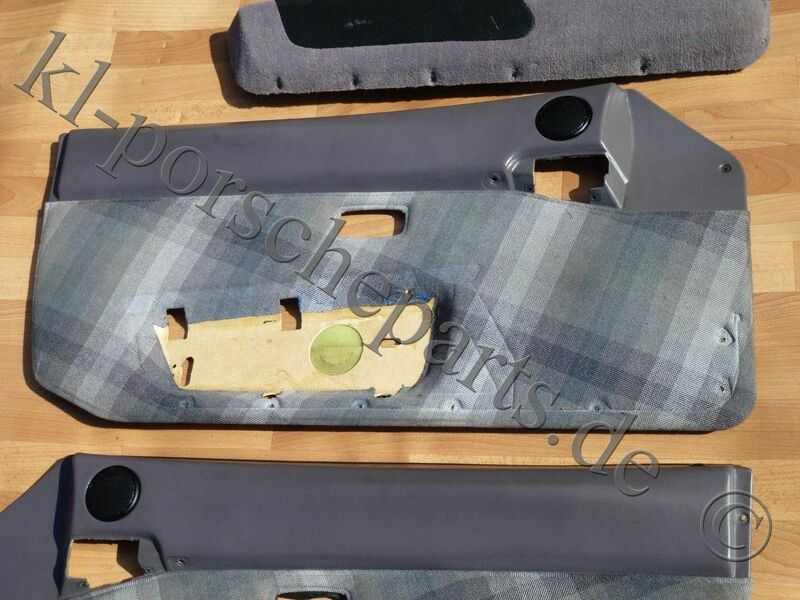 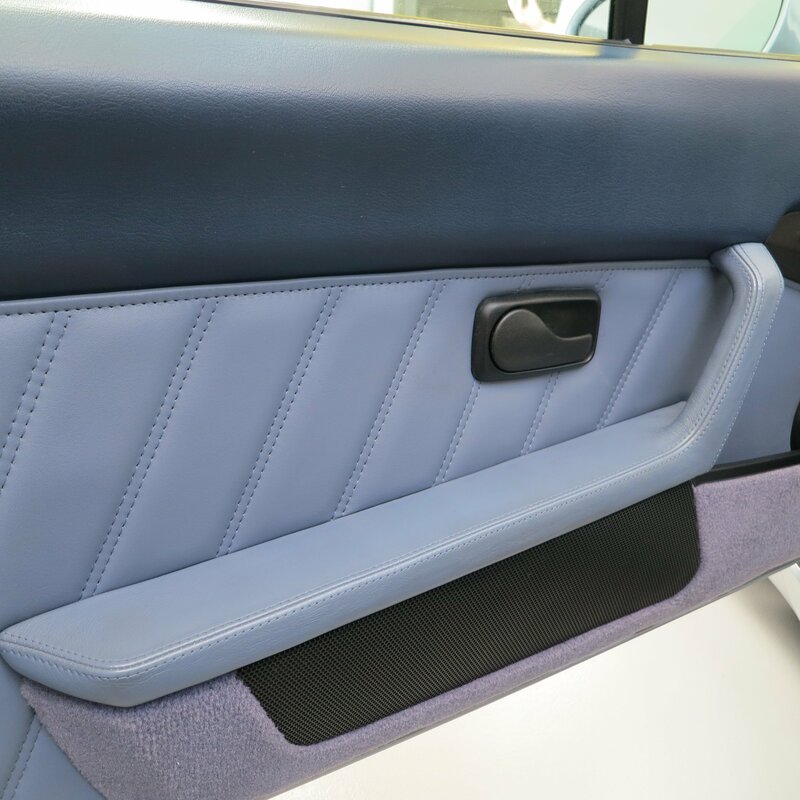 With this choice the insert section of the seats were done in a very attractive cloth material showing the Porsche name in the Porsche font while the front seat bolsters were covered in leatherette. 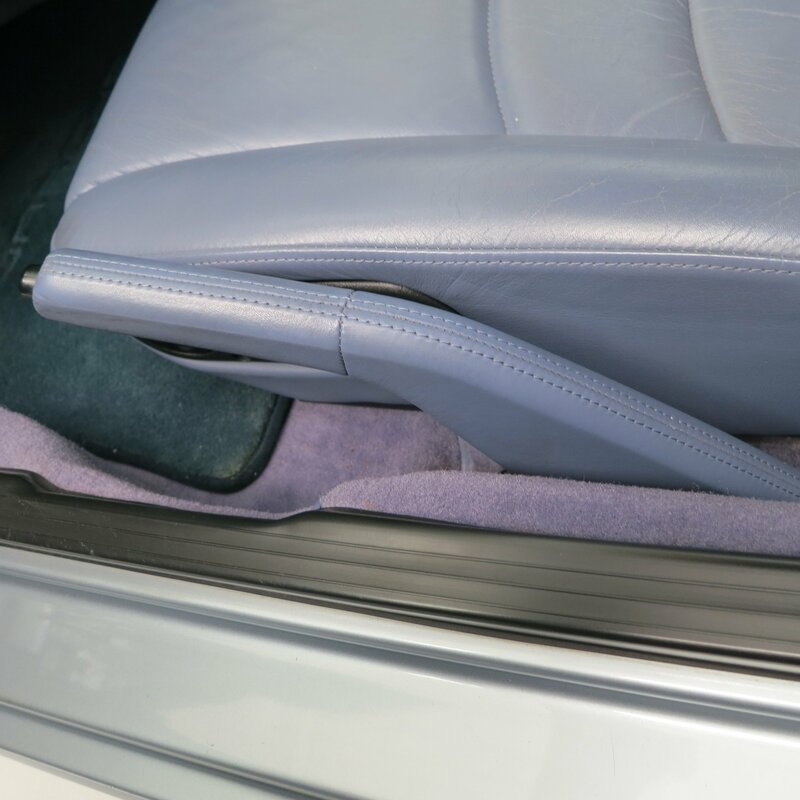 The rear seats were fully covered in the cloth material. 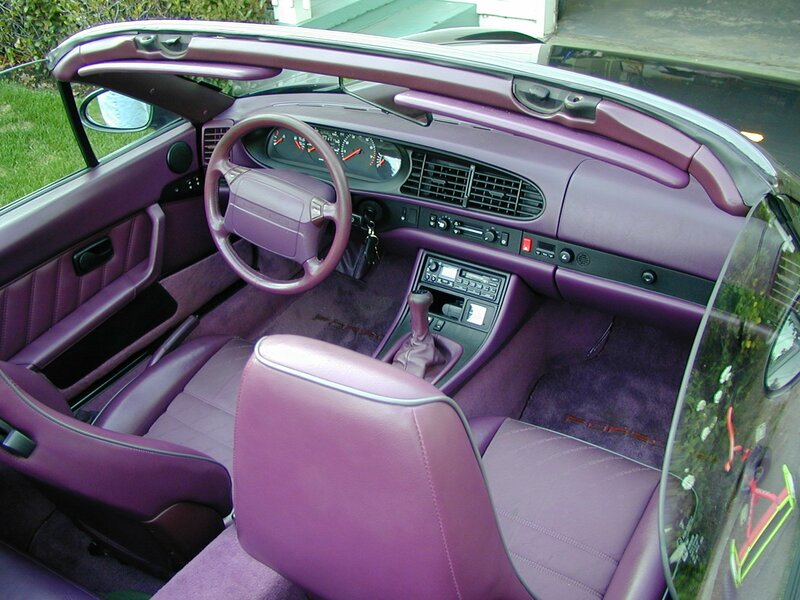 This interior was also quite rare with only 98 (2%) of the NA 968s outfitted with this cloth interior. 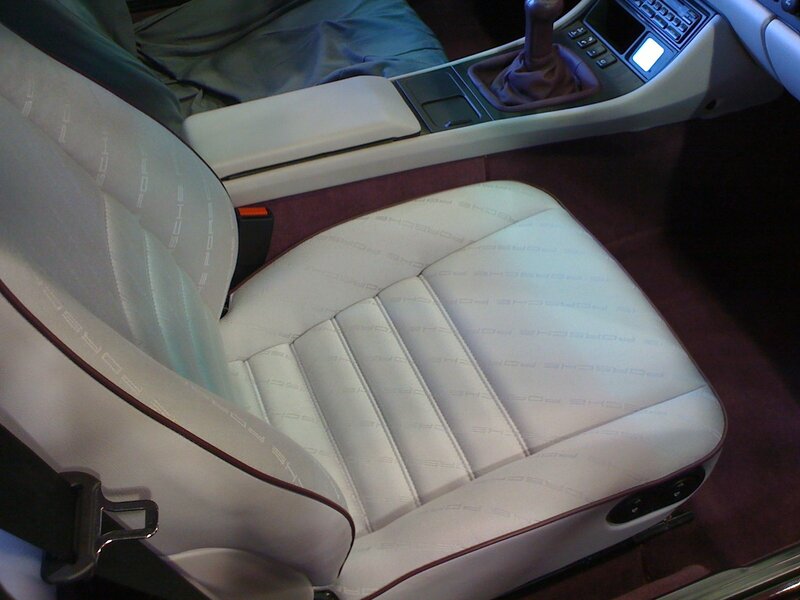 There was actually a second configuration option available for Cloth script seats where the entire seat front was covered in cloth eliminating the leatherette covered bolsters. 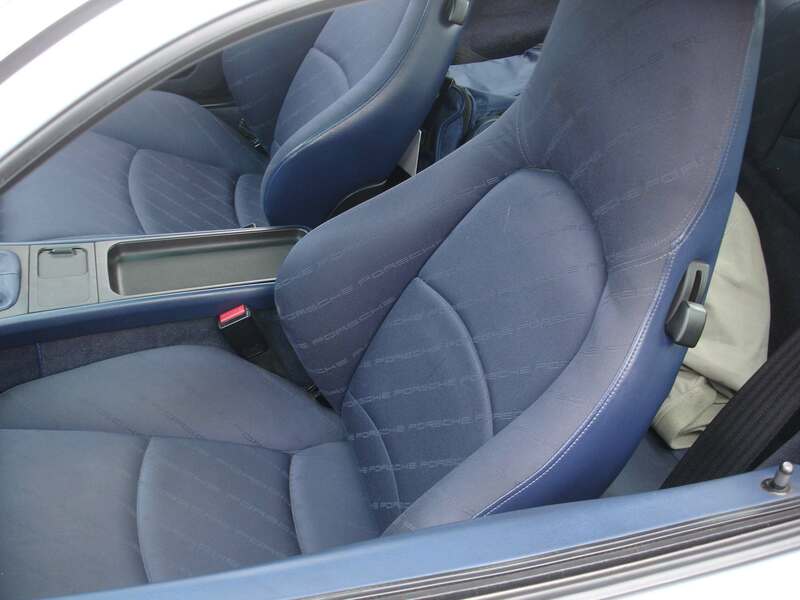 The cost of the “All Cloth” seats was $215 and the photo below illustrates a very rare example of All Cloth script sport seats. 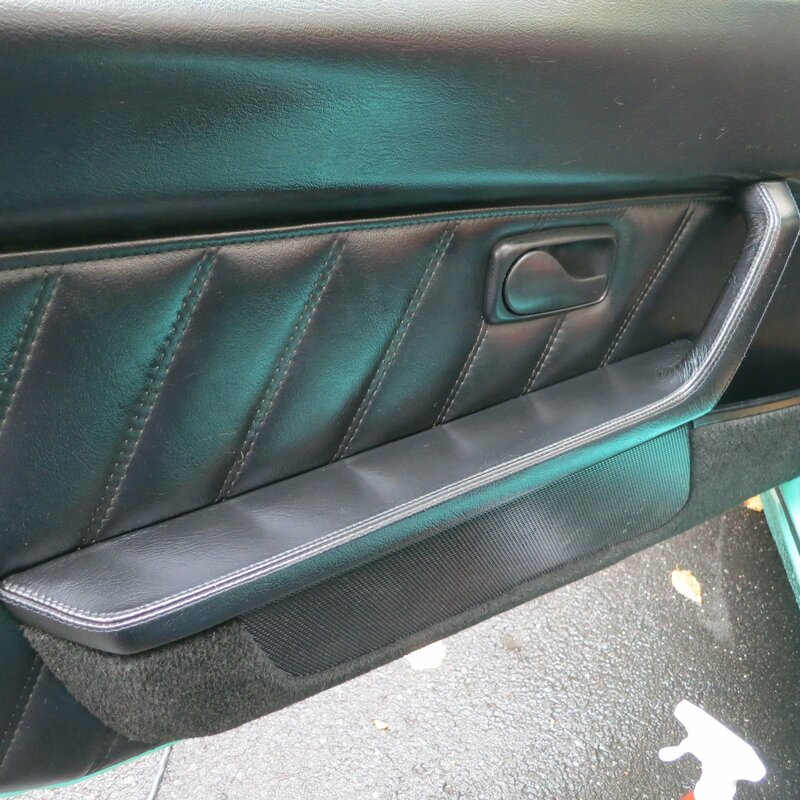 Another rare option was code 526 which carried the matching cloth script onto the door panels for an additional $170 ($174 for 93-95). 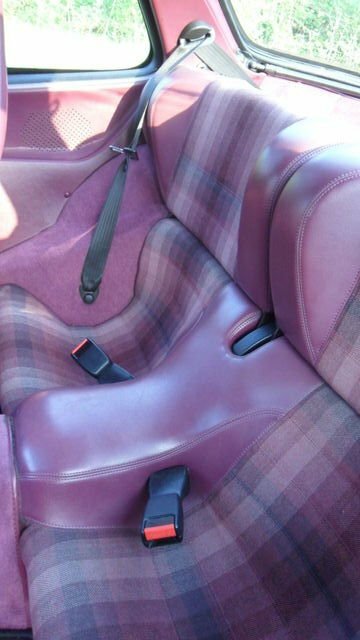 There was actually a second configuration option available for Cloth multicolor seats where the entire seat front was covered in cloth eliminating the leatherette covered bolsters. 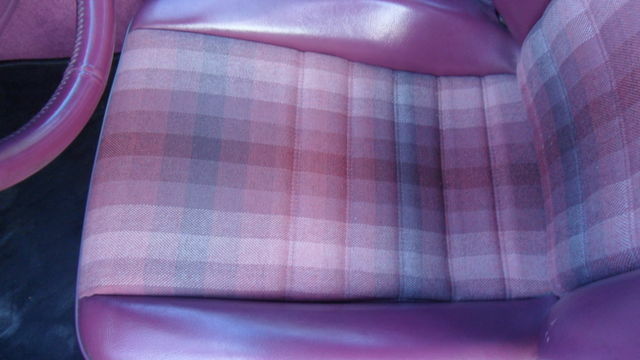 The cost of the “All Cloth” multicolor seats was $215 and the photo below illustrates a very rare example of All Cloth multicolor cloth seats. 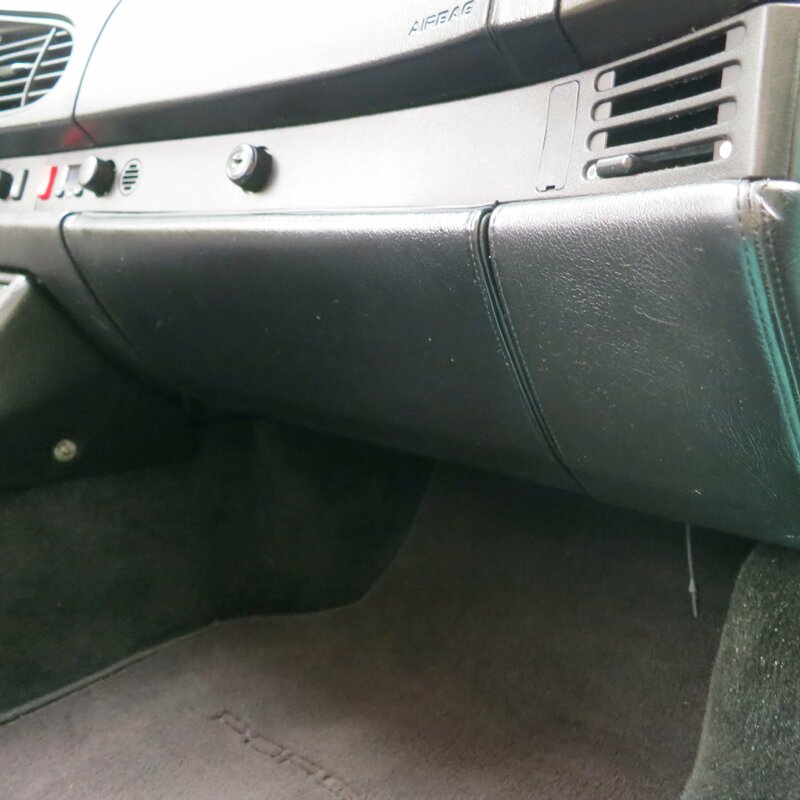 Another rare option was code 526 which carried the matching Multi-color cloth onto the door panels for an additional $170 ($174 for 93-95).